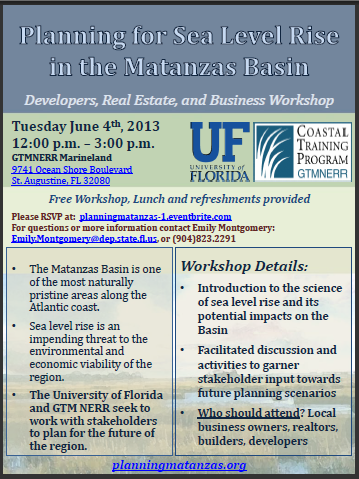 As the Matanzas Basin project proceeds with its focus on natural systems and sea level rise, the Regional Community Institute of Northeast Florida, Inc. (RCI) has been coordinating efforts with UF and the GTM NERR and focusing on sea level rise and potential impacts to the built environment in the seven county Northeast Florida region. 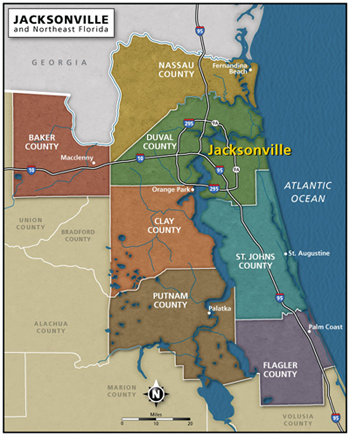 RCI is a non-profit which takes advantage of the expertise of regional leaders who volunteer to make policy recommendations to the Northeast Florida Regional Council. RCI’s Emergency Preparedness Committee on Sea Level Rise is currently working with local planners on community resiliency assessments. 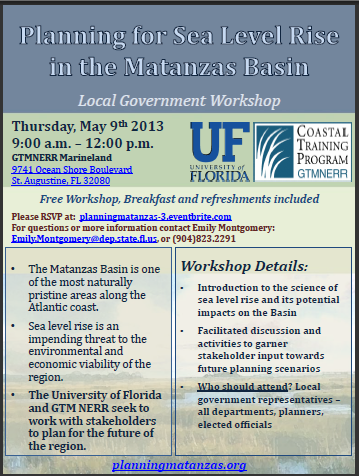 It anticipates making policy recommendations to the Northeast Florida Regional Council in September/October 2013. Background, documents and contact information are available on the Committee webpage. On March 18th, 2013, the project’s Matanzas Basin Steering Committee met for the fifth time at the IFAS Wind Mitigation Building in St. Augustine, Florida. First, the committee provided input on updated technical presentation materials, including a comprehensive digital elevation model map and new geographic analyses of critical facilities and sites affected by sea level rise. Next, committee member, Jackie Kramer, presented her experience working on climate change issues in Alaska. Lessons from other adaptation groups are helpful for the Matanzas sea level rise project, because adaptation planning involves complex technical, political, social, and economic considerations. Last, committee members broke up into groups based on professional affiliations to discuss potential dates for the upcoming stakeholder workshops. These workshops will involve natural resources and ecotour businesses, government officials and planners, and developers, realtors, and other economic interests. 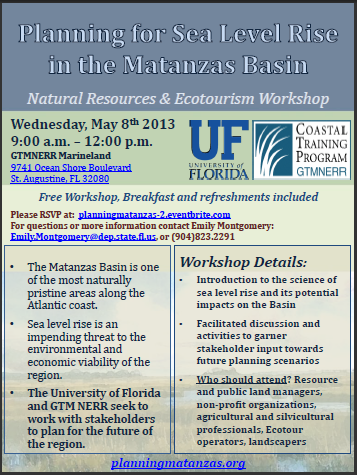 The dates of these workshops have been scheduled for May and June. More information and RSVP links are provided on the Events page.